EVERY MONTH, TheJournal,ie takes a close look at a certain sector or an aspect of life for small and medium enterprises. Providing around 77% of the jobs in the Irish economy, the issues faced by SMEs are crucial to employment and economic growth. During August, we looked at the opportunities and challenges posed by innovation in communication for SMEs. #The Big Idea this month was Cluey – an app that turns any iPad or tablet computer into a cash register, and spits out loads of fancy analytics while it’s at it. #How to guide if you run a business Facebook page, you probably want to know how to get more likes on it. Rare Irish Stuff has cracked it, with 170,000 likes and interaction rates that would make marketers weep tears of joy. Their secret? Ashling copybooks and old callcards. #What I Learned What’s the best way to make money as a small business? Think of a clever way of saving it for bigger companies. That’s what Dublin start-up LegalShine has done – they plan to save hundreds of millions in legal bills for multinationals and governments. #Business Chart of the Month The Irish tech sector has been a major bright spot despite the recent downturn – but just how easy is it to get investment for your start-up? 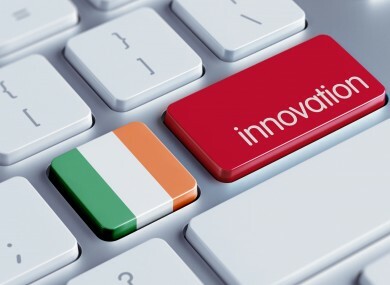 Email “SME Focus: Everything you need to know about innovation and SMEs”. Feedback on “SME Focus: Everything you need to know about innovation and SMEs”.